"My child, what do you think is the most important part of the body?" so I told her; "My ears, mother". Then she answered me: "No, you´re wrong. Some years later when I was a little older, she asked me the same question. "Mother, I believe that the eyes are the most important part of the body". Again she said no. "You still don´t know the answer my child". are able to manage very well too". loved and we were all very sad. "Today I want you to know what the most important part of the body is. 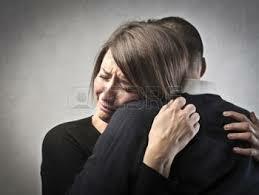 "It´s your shoulder because it can support the head of a loved one when he or she cries.